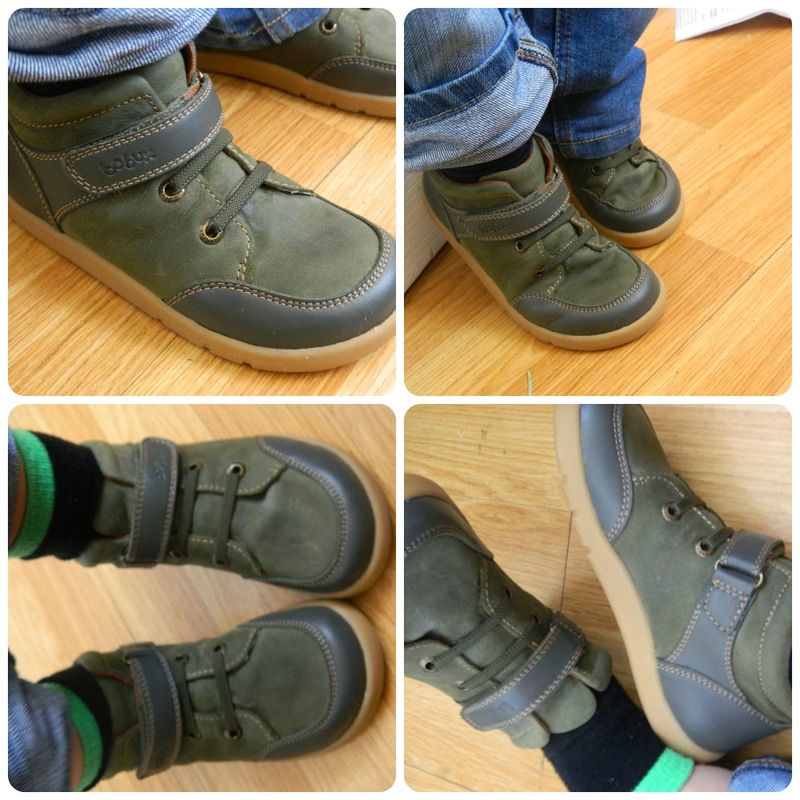 Bud's feet seem to grow continously and, now he is in Nursery School, he needs school shoes and a more casual pair for weekends. I find it so tricky to shop for boys' shoes, When we go to the high street retailers they often only have black 'school shoes' or trainer style shoes to offer us. I usually want a casual boot or shoe, not in black, and don't often find them. 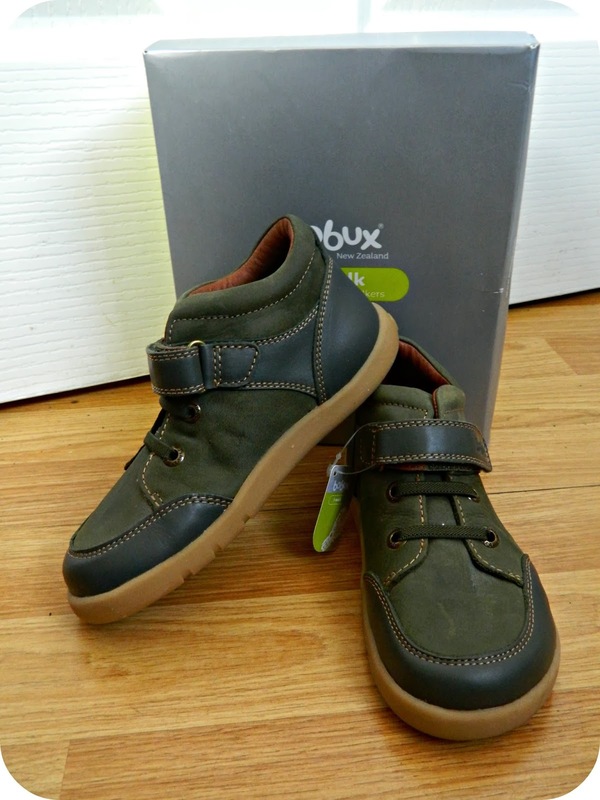 Recently I started chatting to Bobux on Twitter and they offered me the chance to review a pair of their shoes with one of the children. After browsing their site, despite falling a little in love with Little Miss-sized shoes, I knew that I had to choose a pair for Bud. 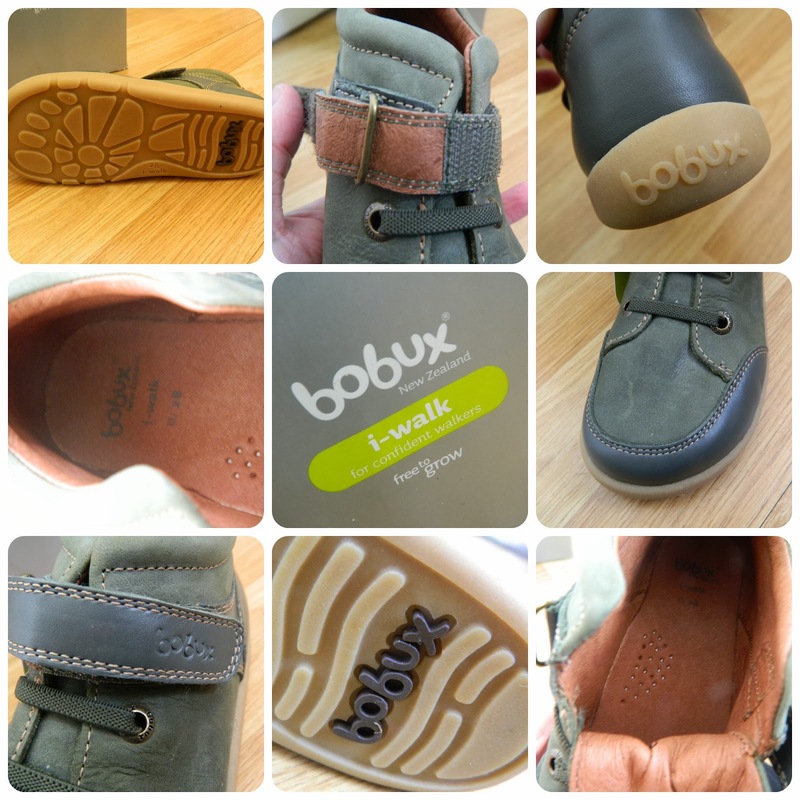 Bobux are a New Zealand company which started back in 1991, founded by Chris and Colleen Bennett who were inspired to create soft soled children's shoes when they could only find hard soles for their nine month old daughter. 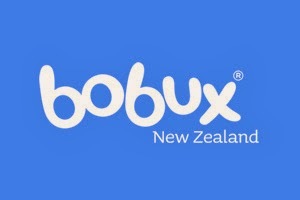 23 years on and Bobux have grown from their New Zealand home to be sold all over the world. 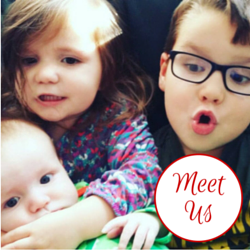 The company philosophy is 'barefoot freedom... healthy feet for life' and it's very much a family set up, with that nine month old baby now part of the team! Upon browsing the Bobux site I was really impressed with their range but my eye was drawn to their 'i-walker' range for confident walkers which Bud, at nearly four, definitely is. Bud really suits boots and I think they are a great weekend shoe, perfect for playing or for smarter occasions. The Everest Boot was my favourite, I loved the striking, two-tone design, so, after asking Bud which colour he preferred, we asked for them in green (they are also available in Navy and Chocolate). The boots arrived quickly and were well packaged. When I first pulled them from the box they seemed much larger than Bud's current boots. That must have been an optical illusion though as they really aren't and the size 28 (a UK 10) seems to be true to size. Bobux, in common with most shoe companies outside the UK don't fit by width. Bud was really excited by his new shoes and keen to try them on. I was impressed by the quality of the shoes. The leather uppers and insole are beautifully soft, and the suede trim looks really great. The insole is well ventilated to help avoid sweaty socks! The shoes look like they lace up but these are actually elastic, you simply pop the boots on to the foot then fasten the velcro strap to secure it. The sole is very flexible and the whole shoe moves easily, with very little rigidity. I almost wish they fitted me, I bet they are super comfortable. It was really easy to fit the shoes onto Bud's feet and he has already declared them to be 'very comfy'. I love that they don't have laces and that the adjustable velcro means that the shoe can be adjusted to fit the width of your child's foot. As soon as he put them on he started standing on tiptoes and jumping, I think he could tell that they were much more flexible than his current pair of shoes and I was really pleased to see the range of movement he has. A lot of people are put off by buying shoes online but Bobux are available in stores too. There is a store a couple of miles away from us so I think I'd pop in there to see their range and check the fitting, then order online if they didn't have the shoes or sizes I required. If you do order the wrong size, or colour, returns are free with the included label so ordering online gives you real peace of mind. The website offers a full guide on how to fit children's shoes as part of their commitment to foot health education, you can even download a free e-book guide to young feet, from pre-birth to toddler. I'm really pleased with Bud's new shoes. They are slightly too large for him at the moment but I'm sure he will be wearing them regularly soon. In fact the only downside I can see is that Bud is currently a size 28 and the largest Bobux shoes are size 30. Still, there's always Little Miss with her size 19 tiny feet!